Top speed is likely to be capped at 85kmph. There is a huge buzz around electric motorcycles at the moment, with Revolt Intellicorp mostly hogging the limelight. There are several spy pics floating around the net but we got the first look of the design. Now, further details of the Indian start-up have been revealed in a report. And if the source is to be believed, the bike does look quite a promising proposition. 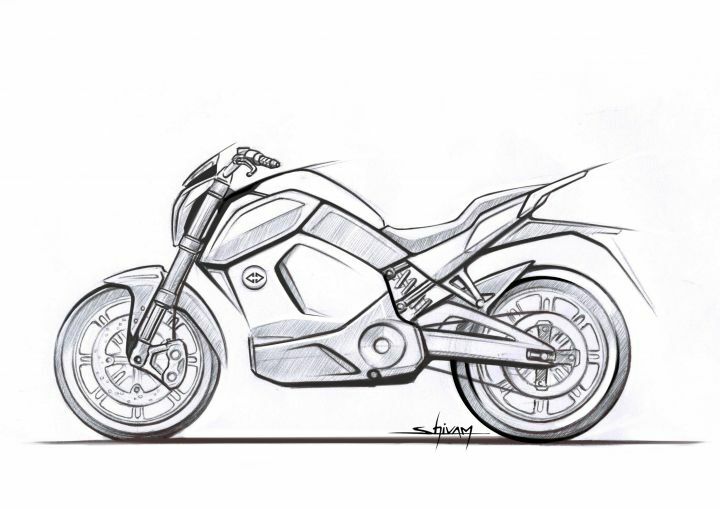 According to the report, the motorcycle is likely to bear a 4.5kW motor with a 45A (ampere) controller. The motorcycle is claimed to have an electronically-limited top speed of 85kmph, which could be amped up to 100. Claimed range of 150km is extremely commendable. Although it could be priced at Rs 1.20 lakh, the end buyer will only have to shell out Rs 95,000 as the FAME II subsidy would chip in for the rest. The amount puts it in the league of petrol-powered 160cc motorcycles like the TVS Apache RTR 160 4V and the Suzuki Gixxer, bikes in one of the most hotly contested segments in Indian motorcycling today.